Home Golden RulesEthics	How safe is whistleblowing? Whistleblowing is encouraged. If organisations followed our approach to corporate governance and surveyed stakeholders regularly it wouldn’t be necessary, but lots of them don’t, so arguably it is necessary. Either way, whistleblowing consequences are damaging for both parties. 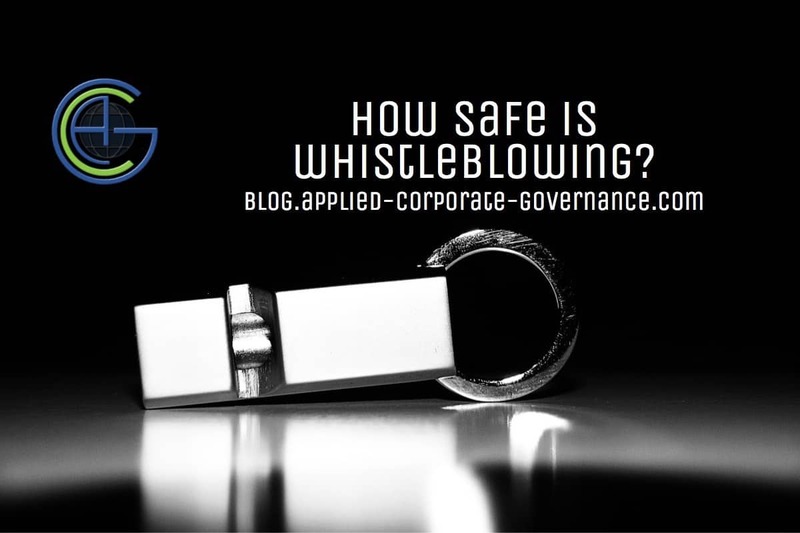 Whistleblowing is seldom career enhancing for the whistleblower, as the recent case involving the UK’s Co-operative Group illustrates. We don’t know the rights and wrongs of the case beyond the findings of the tribunal which considered the case, but what we have been told is briefly as follows. In April 2014, Ms Kath Harmeston was recruited (apparently headhunted) by the Co-op from the Royal Mail where she was responsible for improving the efficiency of procurement. She was made Group Procurement Director with a similar brief to improve procurement efficiency after the Co-op had suffered a series of corporate governance disasters and the mess Co-op Bank had got into was threatening the Co-op Group itself. By June 2014 she had been suspended and in September 2014 she was sacked, and then pursued a £5 million case for unfair dismissal. Clearly things had gone seriously wrong somewhere. However, she subsequently was recruited by the Ministry of Defence, which undoubtedly thoroughly checked her out and was presumably happy with what it found. By this time it isn’t clear exactly who said what to whom and precisely why. But it is plain that Ms Harmeston discovered very early on in her new job some trading practices that she considered very undesirable. It also seems from her remarks that she wasn’t given the status that she had anticipated and hence, by implication, the clout with top management to make an impact on those bad practices. The end result was that the employment tribunal considering her claim for unfair dismissal found against her, but concluded that the Co-op had deliberately failed to pay her legitimate expenses within a reasonable period and by doing so subjected her to detriment on the grounds that she had made protected disclosures. The story above will be a familiar situation to many in the early days of starting a new job and the question is what to do next. This is, of course, what faced Michael Woodford at Olympus, when he was made CEO and uncovered a can of worms. Invariably the answer is to make the best of the situation rather than walk away, which is what Mr Woodford did. His attempt to put matters right has gone into the annals as a global case study, but it resulted in his dismissal and wrecked his career, notwithstanding his being proved right in the end. Ms Harmeston has described “a highly political and dangerous environment” at Co-op Group, so it seems that she would have been uncertain how major criticisms by her of current practices would be received by top management and whether she might expect support or invite retribution. She may well have crossed swords with one or more of the very senior managers involved and decided she was never going to get a hearing at the highest level and pressing her criticisms would damage her position. Notwithstanding its ethical stance, the Co-op Group’s corporate governance record is nothing to write home about, as we have commented on earlier. Fairly recently it has parted with a chairman who was caught out by a Treasury Committee being clueless about the numbers in relation to the Co-op Bank which was in danger of going bust, and later physically caught buying the drug crystal meth. It lost a chief executive who resigned, describing the organisation as ungovernable, and had to accept a change of board constitution forced on it by an independent enquiry when the future of the Group itself was in question. There is a Co-operative Group policy on whistleblowing published on its website, and it lays down clear procedures for anyone discovering what they regard as bad practices. However, it defines the process very tightly, making clear that whistleblowers will only be protected if they comply precisely with the policy document. Anyone less than confident about the integrity of the governing management is likely to plump for the option they give to contact a whistleblowing hotline run by an organisation called Expolink. Interestingly, within the Co-op Group is a legal practice called Co-operative Legal Services, which provides Whistleblower Protection. In its blurb it says potential whistleblowers should firstly share their concerns with their employers, but recognises that this may be a delicate issue so recommends they contact Co-operative Legal Services for help. Presumably Ms Harmeston didn’t as they aren’t mentioned in connection with her claim for unfair dismissal. The full rights and wrongs of the case will never emerge, but the response of the Co-op Group was to work on challenging the credibility of Ms Harmeston by making critical allegations about her performance with her previous employer, though surely any problems here would have been discovered and taken into consideration in her recruitment. This was coupled with critical remarks about her behaviour in her three months of active employment by Co-op. Similarly, following Michael Woodford’s challenge to the Olympus board’s decisions over the previous few years, the board declared him unfit for the job to which they had appointed him. All in all, the Co-op case followed a traditional path. The employee raises concerns, starts to believe it’s getting them no-where and takes the whistleblowing route. In due course it becomes public, they are identified and fired and then get into a confrontation with their former employer. After that, it becomes a matter of who can spend more on the legal battle and the odds are stacked against the employee. Whistleblowing protection isn’t something many would feel comfortable relying on. Occasionally the individual can win against a much stronger adversary, but only if they are blessed with great power and wealth and enormous self-confidence. Two examples illustrate this. After the 2008 global crash, the Icelandic bank Kaupthing collapsed. The Tchenguiz brothers had significant financial dealings with the collapsed bank and the UK’s Serious Fraud Office investigated them aggressively for alleged corruption including dawn raids. The brothers were wealthy and powerful enough to challenge the SFO and after several years and employing a team of top lawyers, they were able to destroy the SFO’s case and get a full apology and damages. More recently, the investigation of insider trading on Wall Street had ensnared the hedge fund SAC Capital and the SEC had eventually succeeded in bringing convictions against two traders. They were then gunning for the founder, Steve Cohen, and tried to get him barred for life from managing other peoples’ money. However, Mr Cohen was eventually able to successfully challenge these convictions and get a key one of them overturned and the SEC then backed off, settling for a lesser charge of failing to supervise an employee. The Tchenguiz brothers and Mr Cohen are very successful and able businessmen with the self-confidence and the financial resources to win the biggest of legal battles. Unfortunately this isn’t the case with the average whistleblower and David (the whistleblower) very seldom beats Goliath (the ex-employer). Is the Whistleblower a bit like a suicide bomber? Whatever the rights and wrongs of Ms Harmeston’s case, it seems unlikely that she would have been driven to take the whistleblowing line and (predictably) lose her job if there hadn’t been serious issues involved. Moreover, the whistleblowing unfair dismissal case brought these issues into the public domain, and appeared in the press over a number of weeks. Thus by blowing the whistle, Ms Harmeston lost her job and damaged her career, but in the process cast the spotlight again on the corporate governance of an organisation which was trying desperately to recover from major boardroom and constitutional bad practice and a financial near disaster. The subsequent decision of the chief executive to request a 60% pay cut on the grounds that his successful performance had now made his job easier and therefore justifying of lower pay, was a commendable action, but didn’t help Ms Harmeson. How much better it would have been if the internal practices of the organisation had allowed these concerns to be aired without fear, thus allowing them to be dealt with. Notwithstanding the exhortation in the Whistleblowing Policy document to use the Grievance Procedure to make a complaint, this route clearly doesn’t work. We would say that implementing the processes and procedures in our Applied Corporate Governance approach would have enabled Co-operative Group to have picked up these problems early through regular surveys. Then Kath Harmeston would be progressing successfully in her career as Procurement Director and the Co-op Group would be able to point to significant progress in improving efficiency in this key area. 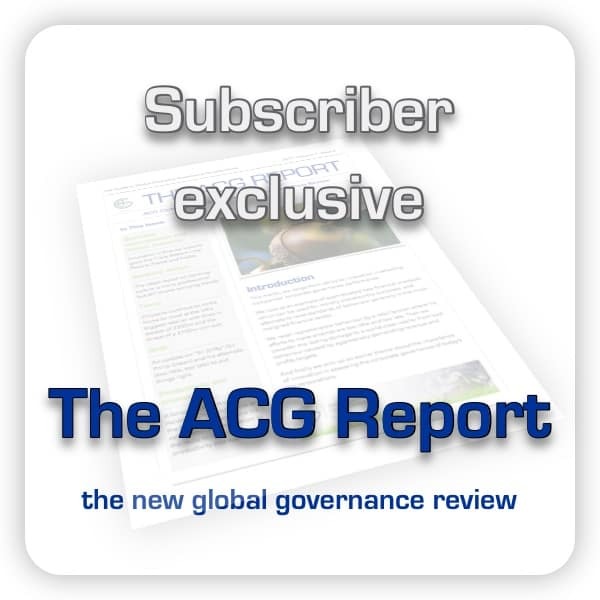 You can read more about corporate governance at the co-operative group in this article from the ACG archive.